It has territory in three continents: America, Antarctica and Oceania. The driest desert in the world is in the north of Chile: the Atacama Desert. It has the highest recorded earthquake in history: The 1960 Valdivia earthquake with 9.6 magnitude. It was the first country in the American continent to abolish slavery. Chile stretches along the southwestern coast of South America, bordering the South Pacific Ocean; between Argentina and Peru. I still remember so clearly when the Message of the Hour came to Penco in 1977. I was seven years old, and in those days I had to take care of my younger brothers and sister at home while my parents went to the Wesleyan Methodist Church. There was service every day of the week, and sometimes I had to stay with my small brothers. That evening I could see the faces of my mom and dad glistening with joy. I asked them if the service was good, and they told me it was more than good; a man had come with a Message from God for this age! What a thrill for a seven year old boy to hear about a Message directly from God. What a feeling and excitement when they showed me the pictures of a strange cloud with the face of the Lord Jesus so clear and visible. What a feeling when I asked my dad who was that man in a pulpit with a strange halo Light over his head. He answered me with a few words that still ring in my mind and my heart like a thunder; “Son, this is a prophet.” I believed it with all my heart, as a small child, that no doubt this was a prophet because my dad told me so, and when one is seven years old, fathers are sure worthy of confidence. Years later, when I was 14, the world was calling me. It showed me glamorous things with friends, fame, and all the pleasures for the young people in this age. That day I was once again going to service, just because my parents took me there, but my mind was elsewhere. I found myself bored and wishing the service was over soon. Little did I know that that was the best day of my life. My father preached that evening, and he took the message “What Shall I Do With This Jesus Called The Christ.” I heard of Pilate; I heard of Jesus; I heard of His precious Blood in my hands, and suddenly it felt like a Fire coming from above to my heart and belly, and I fell to the floor. I had conviction of my sins and the realization that I needed a Saviour. I gave my heart to the Lord, and He kindly received me in His arms. In those days it was difficult to have Message books. The person that had an original copy of a message was a fortunate person. Many times we struggled to make photocopies of the messages. Sometimes we even copied the sermons by hand. 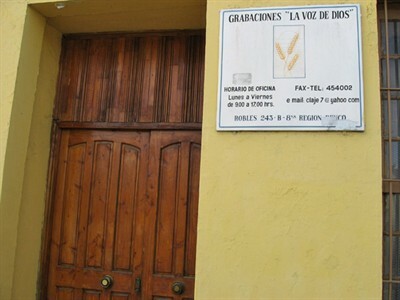 It was in 1984 that the first shipment from Voice Of God Recordings came to Chile. 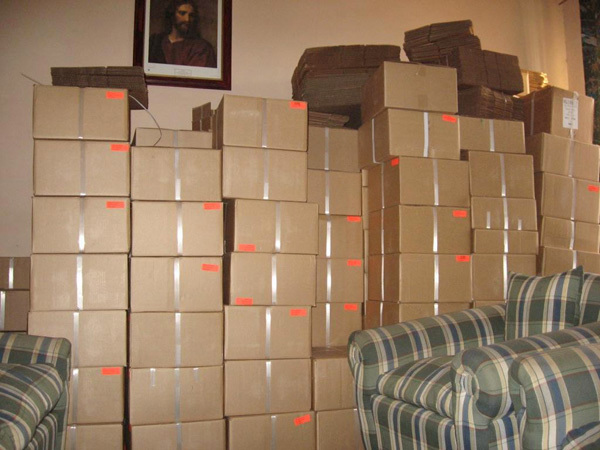 For the first time, every church had a full supply of books for every family. 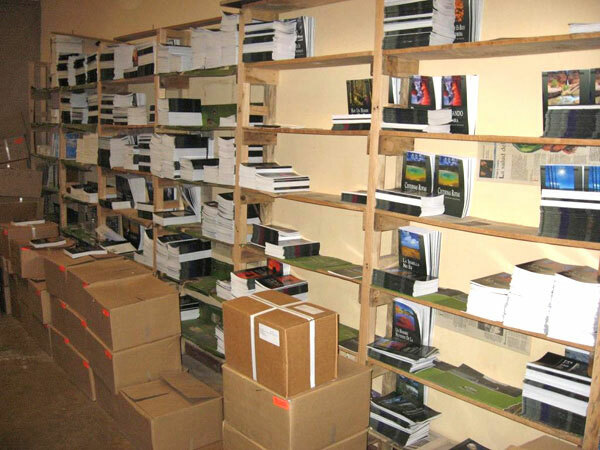 What a joy it was to see the books and tapes being received by the hungry hands of the believers. I was only 15 years old, but I cried in my heart something like a prayer, “Lord, if there is time, how I would like to work doing this; giving the books and tapes of Brother Branham to my people here in Chile.” Sixteen years after that, the Lord answered this prayer, and by His grace I became the Voice Of God distributor for my country. 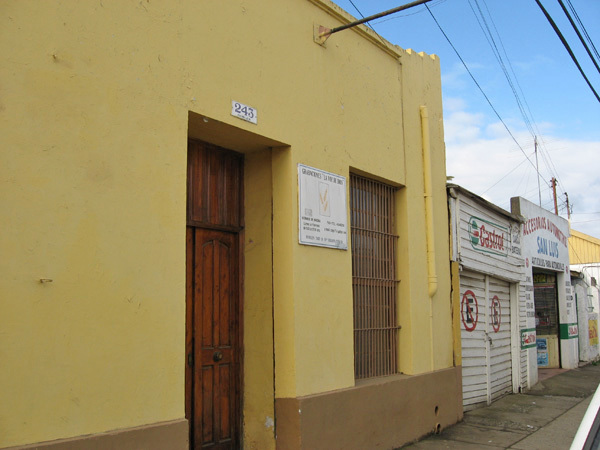 When I started working as a distributor, there were only 60 churches in Chile. Now there are 150 churches believing this end-time Message. What greater honor could I have than serving all the believers of my nation and giving them the Word of the Lord in Its purest form brought by a mighty prophet? Praise the Lord for His mercy! 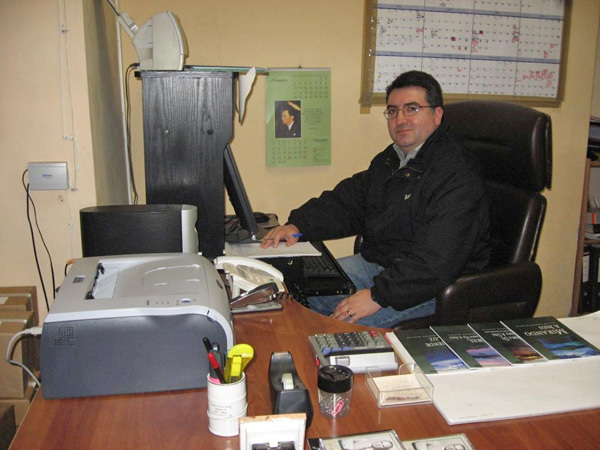 Sister Claudia Monsalve de Quian A few years after my husband became the VGR distributor for Chile, it was clear that he would need some help at the office to take care of the telephone calls, writing of letters and some of the special orders that the office receives periodically. It has been my honor to be in charge of this for the past 8 years and serve the believers in my country. My testimony is that this Message brought to me a special love for God's people and I feel part of this ministry serving the Bride of Christ. The greatest joy and privilege I have is to be able to help in the process to distribute the Message brought by the Lord through His prophet, our dear Brother Branham. It is incredible for me to see that thousands of believers are receiving the Voice Of God in my country through our humble efforts. I am not worthy of this tremendous honor. It is my desire to represent in a good manner the labour of love and efforts done by our brothers in the Headquarters in Jeffersonville. Please pray for us as we pray for you all. 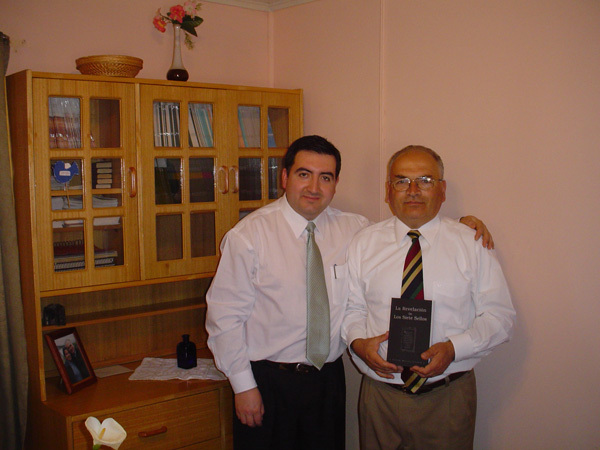 After having a library in Santiago, the capital of Chile, for 10 years, a full time VGR office opened its doors for the believers in Chile in 2001. The office was located in the city of Penco, 300 miles south of the capital (a small town by the ocean) and started distributing the material that came periodically from the Headquarters in Jeffersonville. It was in February 27, 2010 that the area where the office is located, suffered with one of the strongest earthquakes recorded in history; a 8.8 magnitude that devastated the southern regions of Chile with the land shaking and a devastating set of tsunamis that came a few minutes after this event. As a result of this disaster, the VGR Office suffered substantial damage and it had to close its doors momentarily. 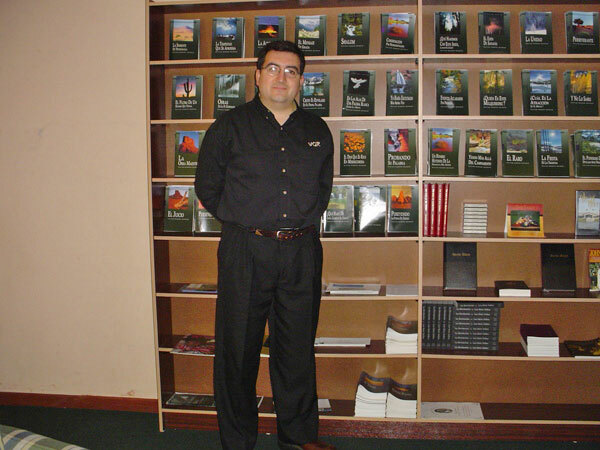 Since that time, the distribution of the material in Chile has been made from the residence of the distributor and his house has served as an office for the daily work of translation, proofing and distribution work. Efforts have been made to locate a suitable place for a VGR office but we are still searching for this. We ask for your prayers so we can soon have this so important and basic tool to serve the part of the Bride of Christ in this far corner of the world. Testimony from a young sister who battled depression and overcame. Today, a year after that situation, a full circle has closed. I want to tell you my testimony of what I experienced the night of the earthquake. Military force is on the streets but it is not enough. Violence is everywhere.